As a lover of tabletop games, having game nights are an essential way to spread my enjoyment and have a fun night with friends or family. But it takes more than just a stack of board games to make an awesome game night. It can get really boring playing the same game over and over again with no other reason but because you can. Why not give a theme to what your night will play like? By giving the night a theme, it can help you choose new and different games to play. For example, a zombie night where all of the games are related to zombies and the apocalypse (Dead of Winter and Zombie Dice are some options). Think about what kind of games are you going to play. Will it be card games, board games, or tile-laying games? Will it be co-operative play or not? Will they be mini games that take little time to play, or a marathon of a game? It all kind of depends on your players, but I would suggest a good mix of different types, and both mini games and longer ones, so you can warm up with the minis or take a break between the longer ones. 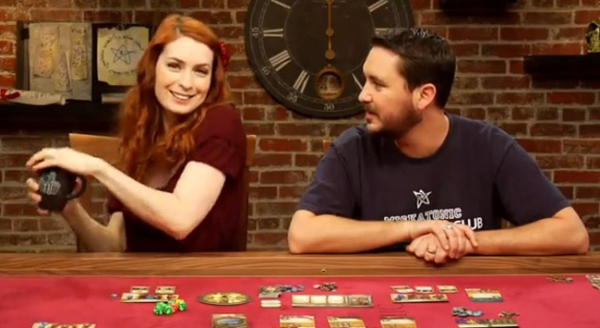 Obviously, if your guests are not enjoying a game, you should probably stop playing it. And if players are getting confused over the game, make sure you can easily explain or help them out so they can have fun. 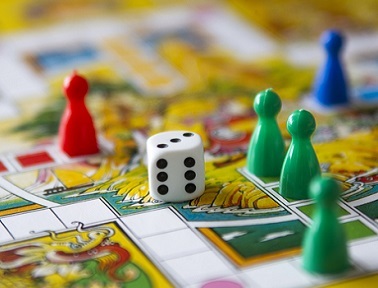 The whole game night will go south if your guests are not enjoying themselves, so try your best to help them have fun. What I love about game nights is that you can have them often, like a weekly tradition. Make it a routine to have game nights every so often, maybe changing locations on rotation and playing different games every time. Plus why have a bunch of tabletop games with no one to play with? Keep it going and keep on playing. What are your favorite games to play with friends? Let me know in the comments! I was looking to plan my first game night next month. Only games I have are Monopoly and Sorry. What do you recommend? You can always play those two. I’m planning for tonight to play Superfight, which is kind of like Cards Against Humanity, and Code Names. I also told my guests if they wanted to bring games they could. You can also click on the sidebar the mystery board game square, which is a game I recommend. Or read my past reviews on other names like Love Letter and Sushi Go. I hope this helps! Playing (more) boardgames is definitely something I want to do, but it’s a little hard if you have no friends. And my family isn’t really interested in them. The only game I have right now is Star Trek monopoly, but I would love to get some board game recommendations. I have a lot of two-player games cause I usually only play with my brother. I just got Code Names which is really fun. I also like Sushi Go and Love Letter. You can check my mystery board games box in my sidebar too for a random game recommendation too. The new Star Wars risk is a face on this house. We love game nights and I like to pair it with a nacho bar or buffalo chicken dip! How fun! I haven’t had a game night in a while but now I want to! We have lots of board game nights! We don’t theme because we never know exactly how many people will show up or what games will be appropriate. Usually once people arrive we pull some as suggestions based on their experience with strategy games and the number of people. I LOVE game night! I need to hit up Target to get some newer ones! I LOVE game night! I need to head to Target to up my selection! Target has a surprisingly great game selection! I LOVE themed game nights! My friends and I love to cook so we will continue the theme into the food. Last one we did was Game of Thrones (we were playing Game of Thrones Risk) and it was lots of fun! I love to play games! Unfortunately, my husband likes games I do not, and vice versa. We do love to go to concerts, so at least we have that in common. I love this idea. 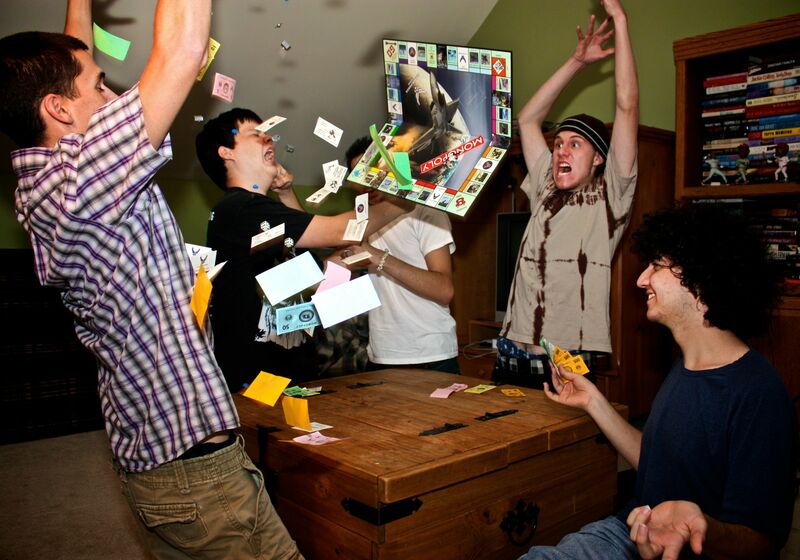 Now that my sons are older, I really want to host more game nights at our house. Games are expensive aren’t they! I’m going to check out some of the ones you mentioned – thanks! They can be. I know there is a subscription box that sends games and isn’t too bad. I try to stay cheaper cause I’m a broke college student after all. Pictionary is one of my favourites! Channel A is awesome. Think Cards Against Humanity, but proposing anime series. Also Tsuro. We’ve even taught our dog how to play, but she only picks moves to let ‘Daddy’ win. I should probably be disturbed by how smart she is, really. I really want Tsuro. I like Tsuro of the seas where you avoid the dragons in boats, and the dragons move. It looks super cool! Ooh, that sounds neat too! Tsuro is awesome. We used to play the original one every time we had a game night. Good starter/in betweener. We love game nights and host a lot of them during the summer. These are great ideas for ensuring that it goes off without a hitch. Fun post. My weekly game group likes to do themed nights. Last week was Cthulhu. I love game nights, but all of my closest friends seem to find them a little cheesy. Nonetheless I intend to keep hosting them and will use your tips to be sure everyone else is having a good time! I love Sentinels of the Multiverse! ❤ ❤ ❤ ❤ And game nights sound awesome!!!! We’re trying again this weekend and will post about it Sunday or Monday with screenshots (we were having way too much fun last time) and any updated tips.